Chef Boy calls the next dish Bring Me Bringhe. He explains, that's because that's what anyone who gets a taste of it will surely beg to say. Indeed, this rice dish is so delightfully delicious no dieter will have the will power to resist it. 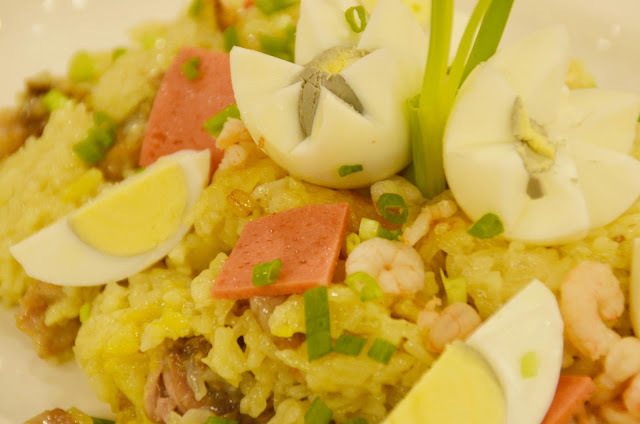 6.Add pre-cooked shrimps and decorate top with sliced ham, boiled egg and parsley. Serve hot.